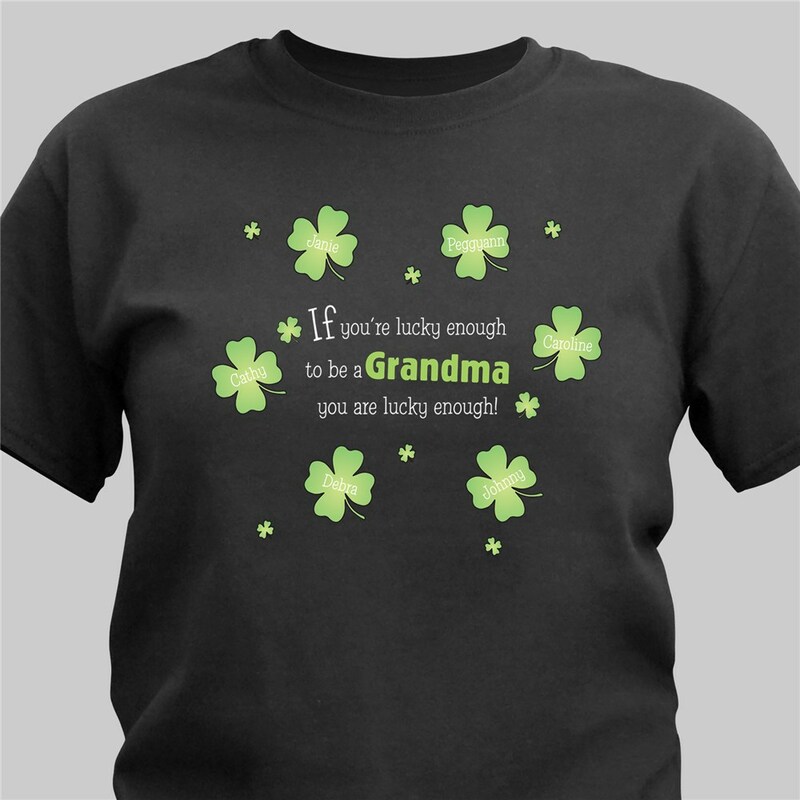 Your Mom is going to love her very own Irish Personalized T-shirts featuring all of her little shamrocks which make every day feel like it is the Luckiest Day Ever. 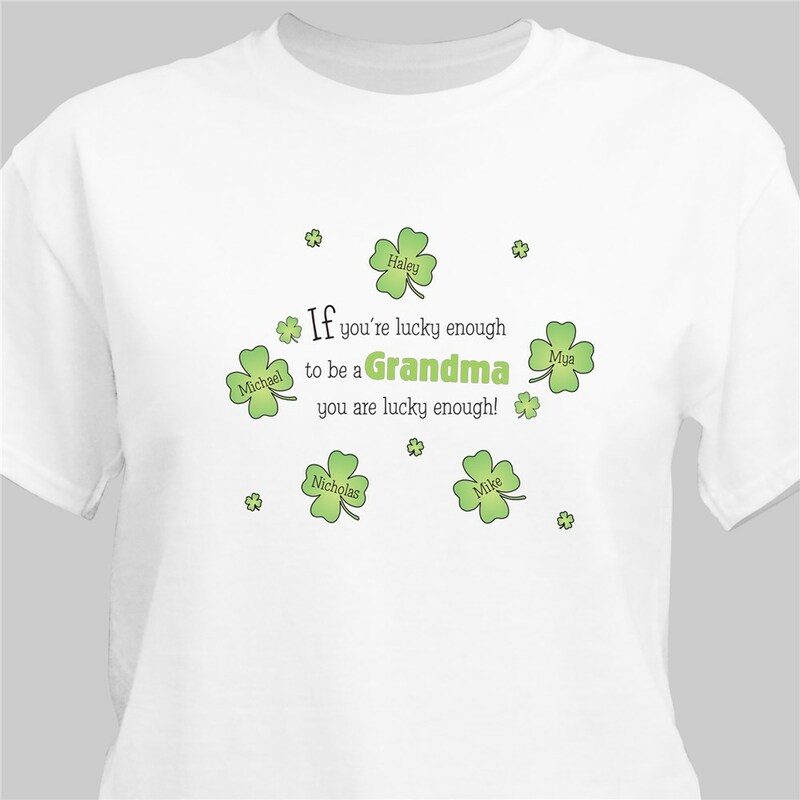 Your St. Patrick's Day Personalized Shirt is created with our premium 100% cotton T-Shirt, machine washable in adult sizes S-3XL. Includes FREE Personalization! Personalized with any title and up to 30 names. I RIDE IN THE ST. PATRICK'S DAY PARADE IN MY HOME TOWN, AND I LIKE TO GET A PERSONALIZED SHIRT TO WEAR FOR THE PARADE. I HAVE 4 GRANDCHILDREN NOW AND THEY LOVE TO SEE THEIR NAMES ON MY SHIRT. AFTER ALL, I AM THEIR GAMMY. 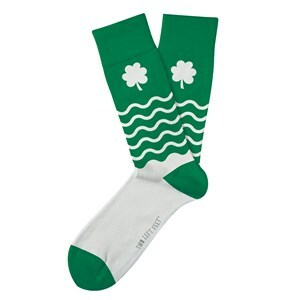 We have a great assortment of Creative Irish gifts, including Irish Pride Apparel & more St. Patrick's day shirts. 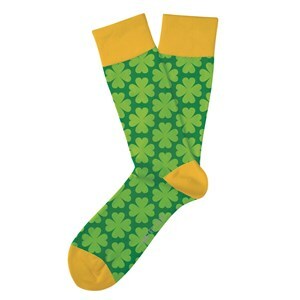 We have unique Irish Baby Gifts & Personalized St. Patrick's Day Frames. 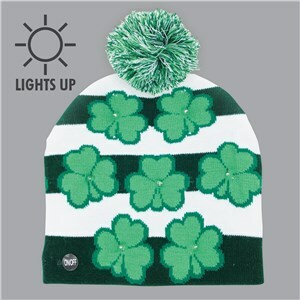 We also have a creative Irish Keepsake department that you want to checkout. 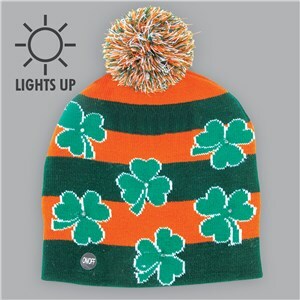 For everything IRISH visit GiftsForYouNow.